Dermal fillers can help to reduce or eliminate wrinkles, raise scar depressions, enhance thinning lips, treat lip wrinkles, raise brows and add volume to cheekbones or chin for a more youthful appearance. If you’re considering using Dermal Fillers to regain fullness or volume in the cheeks, lips, or around your face, your most important consideration should always be safety, the expertise of your practitioner and the products being used. All of which will be discussed fully in your consultation, our priority is YOU. At Assure Clinic all of our injectable treatments are carried out by cosmetic doctor, or surgeon prescribers, who have undergone extensive additional training to qualify in prescribing and performing Dermal Filler injections. We pride ourselves on only using the highest quality brand of temporary fillers such as JUVEDERM (Voluma, Volbella, Volift, Ulta Plus , Ultra Plus XC)from reputable manufacturers such as ALLERGAN which are renowned for their superior standards. For those who are unhappy with the shape or size of their lips, temporary Dermal Fillers can provide an effective volume enhancing solution that keeps them feeling soft and natural. A common complaint by many of our patients is that they dislike how thin their lips look. Instead of lining the lips and creating a distorted result, we enhance your lips’ natural pattern to give them an overall pleasing and full appearance. By injecting Dermal Fillers into the tear trough – which extends from your eye to divide your cheek from your lower eyelid – the area can be made to look less hollow while subtly easing dark circles under the eyes. Tear Trough procedures treatments are very specialised and require an experienced hand to perform them, especially since the treatment may not be suitable for everyone. The area under the eyes is assessed before treatment and your doctor will advise you on whether this is an effective treatment for your case. Those who are eligible will benefit from a fuller and brighter expression that will leave your face looking fresh and rejuvenated. Dermal Fillers can be injected along the contour of the cheek bone to help achieve a more defined appearance to the cheek bone. Volume is often lost from the cheeks due to ageing or weight loss and can cause sagging, restoring these areas are a great way to rejuvenate your face. As we talk, smile, smoke or kiss it can cause the muscles around our mouth to crease and over a long period of time these lines may become more prominent and permanent. The ageing process also causes our production of natural collagen, hyaluronic acid and elastin to reduce causing lines and wrinkles to appear. 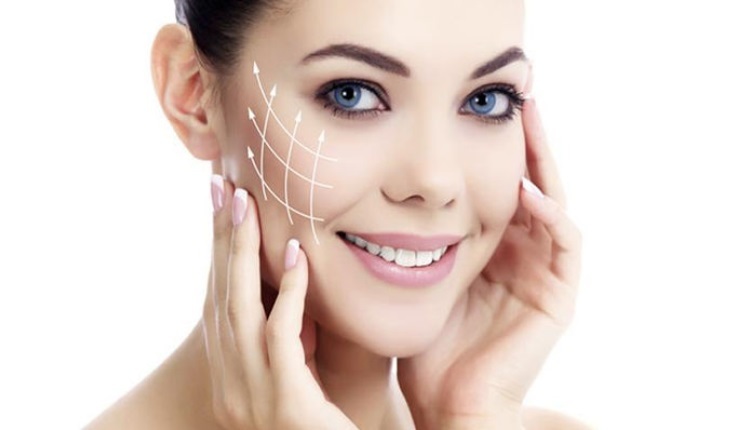 Dermal Filler can be used to plump up and fill out the lines and folds that have been created in the Nasolabial folds as well as the mouth folds, marionette lines and drooping mouth corners to achieve a more rejuvenated and fresher face look. 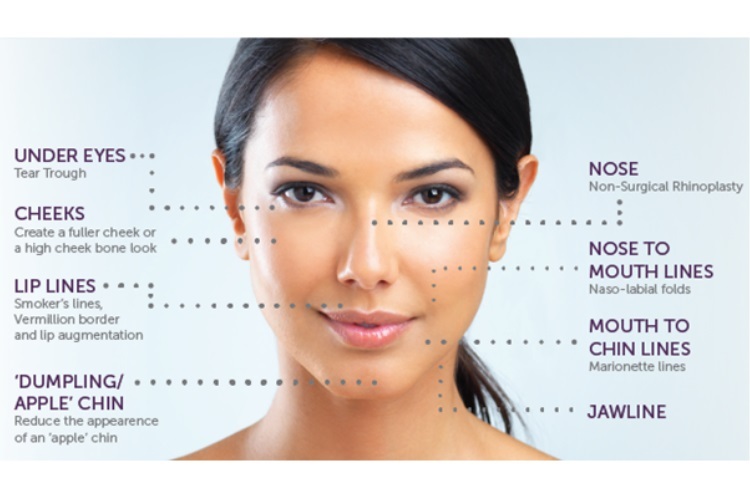 We also offer a Non-Surgical Rhinoplasty treatment which is achieved with the use of fillers. Lines and wrinkles are smoothed out and the skin appears plumper and younger. Areas lacking in volume and shape now have more definition, with a fuller appearance.